Trees can often act as landmark features in our local areas. They make an important contribution to the environment, creating a varied, interesting and attractive landscape. The Council values the importance of trees in our local environment and are committed to their protection. 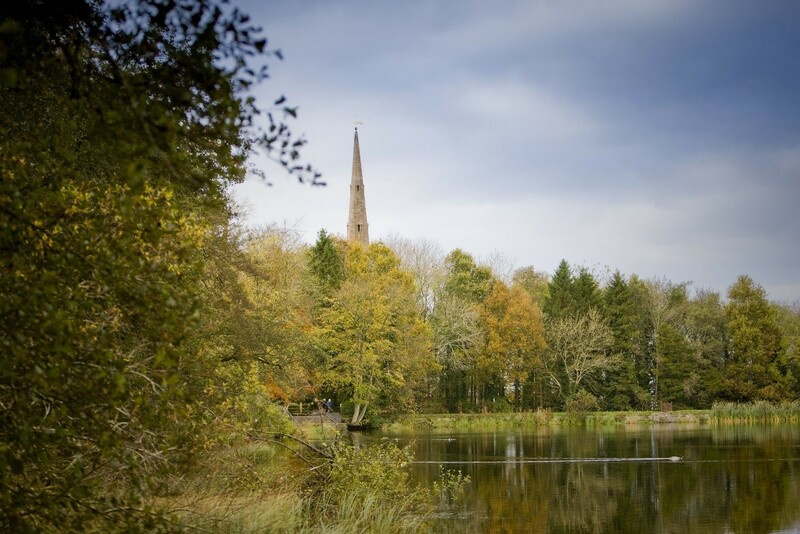 This is acknowledged through the Council’s Corporate Plan which includes as a corporate action under Strategic Theme 4 ‘Where we live’ to promote use of our natural environment, open spaces and waterways, with improved facilities. 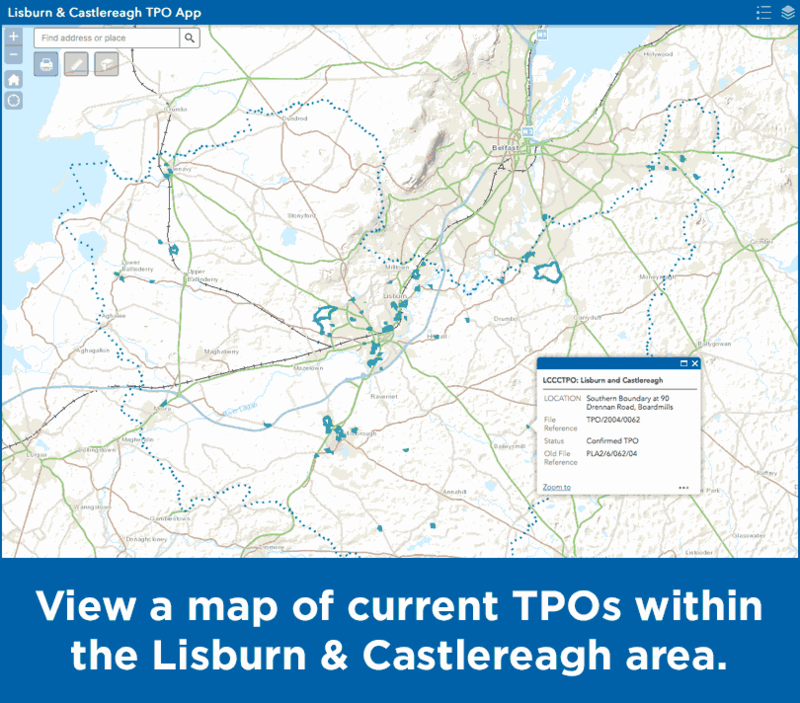 There are over 60 TPOs within the Lisburn & Castlereagh City Council Area which provide statutory protection for those trees specified in the order. The Council is responsible for the making and enforcing of these Tree Preservation Orders (TPOs). TPOs may be used to protect trees, groups of trees or woodlands, which add to the character and appearance of an area. It is a criminal offence to cut down, top, lop, uproot, wilfully destroy or damage a tree in a manner likely to destroy it, without the Council’s consent, and, on summary conviction you could be fined up to £100,000 (and on conviction on indictment, to an unlimited fine). In determining the fine, the Court may take into account any financial benefit which appears likely to have accrued as a result of the offence. It will also be the duty of the landowner to plant replacement trees of appropriate size and species in the same location as soon as reasonably possible. Protecting trees, considered to be of special value in terms of amenity, history or rarity, which may or may not be under threat. Ensuring the continuance of woodland areas which may be felled with Council consent, by securing the replanting of trees, where this is considered necessary. Anyone can write to the Planning Office making a request for a TPO. A request should include details of the location of the trees and reasons why a TPO should be made. Factors of relevance might include, exceptional landscape/townscape value, particular importance in terms of location/setting, rare species or historical/wildlife significance. 1. The Council may give notice of its intention to make a TPO to the owner and occupiers of the land, who have 28 days from the date of notice in which to comment. Any comments received, will be taken into account and a decision reached on whether or not the order should be confirmed. The order does not take effect until it has been confirmed by the Council. 2. Alternatively, the Council may make a Provisional TPO, which takes effect immediately on the date specified, providing protection for the trees. A Provisional TPO may be used in situations where the Council considers the existence of the trees to be under immediate threat. Comments may still be made within 28 days from the date of notice and will be taken into account before the Council decides if the TPO is to be confirmed. A Provisional TPO must however, be confirmed within 6 months of the date of the order, otherwise the protection afforded to the trees expires. Further to imposition of a TPO the landowner remains responsible for the trees, their condition and any liability in relation to any damage they may cause. If you wish to cut down or carry out works to protected trees, protected through TPO or Planning Condition you must first seek the Council’s consent to do so. why this work is required. Prior to submitting this information it is advisable to seek the advice of a qualified arboriculturist who will be carrying out the work if consent is granted. The Council will consider the application and may grant approval subject to condition or refuse consent. In circumstances where a tree is dead, dying or dangerous and/ or poses imminent danger, the landowner must inform the Council immediately of works and submit relevant evidence such as an arboriculturists report, photographs etc. (separate consent is not required). The landowner will be required to replant with trees of appropriate size and species, in the same location as soon as reasonably possible. A dead or dying tree however may provide a habitat for plants and wildlife protected under the Wildlife Order (NI) 1985. Trees with hollows or crevices, for example, provide important natural sites for many protected species. Anyone proposing to carry out works to trees containing protected plants and wildlife, should first consult the Department of Agriculture, Environment & Rural Affairs (DAERA). Trees in a conservation area are automatically protected as if a TPO was in place. However, in a conservation area, anyone proposing to carry out works on the trees, must serve on the Council six weeks notice of the intended works. The notice should contain sufficient information to identify the trees, details of the proposed works and reasons. The Council has six weeks in which to respond. Work should not commence until the Council has commented, or the six weeks has expired, whichever takes place first. If the work specified in the written notice of intent is not completed within two years of the date of this notice, a further notice will need to be submitted before proceeding. If the Council considers the proposed works should not be carried out, a formal TPO will be imposed. New development close to trees can have a direct impact on the health of the tree. The Council will take into consideration the risk to trees when assessing planning applications. detailed planting plan to ensure continuance of tree cover.